We’ve got seven free crochet patterns for you to make for the winter months! Dig through your stash and find some deliciously warm yarn and grab that hook! If you’ve got a beautiful single skein that you’ve been saving, the day to use it has arrived! This beautiful, simple cowl is easy to make and will make such a fantastic statement over your coat or jumper! This delectable Yuletide Wrap is made up in Caron Simply Soft – can you imagine how delicious that would be wrapped around your shoulders on a chilly evening? Such a clever blanket – using simple stitches horizontally and then weaving yarn vertically to create a plaid look! Crocheted in Caron United, it’ll be super soft and great value too. Learn how to slip stitch crochet with Vashti Braha’s fabulous tutorial and make this gorgeous scarf pattern! It looks so like knitting but it isn’t! Such a cosy ponchette to pop over a coat and keep you warm, with those darling pompoms too! Crocheted in Bernat Satin, an aran weight yarn that works up speedily for a fast finish cowl. Dive into your stash and grab whatever you can find to make this fabulous scarf! You can either use aran or chunky weight yarn, or hold two strands of finer yarn together! Use your favourite chunky weight yarn for this fabulous beanie – fun bobble stitches and a nice full pompom set the theme for this cosy bobble hat! 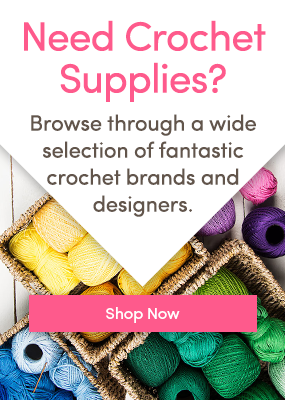 What will you crochet for the winter months? One Response to 7 FREE Winter Crochet Patterns!